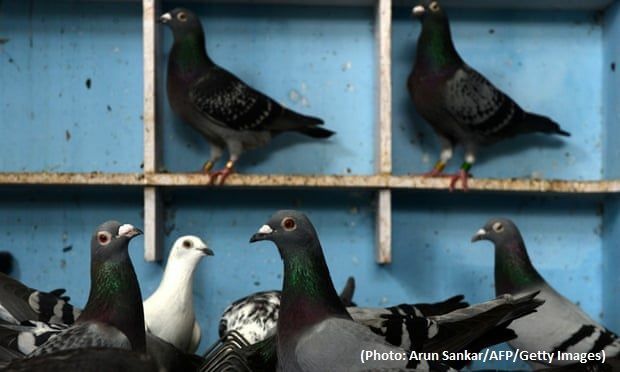 Racing pigeon Armando goes for huge sum after bidding war between Chinese enthusiasts. A racing pigeon has been sold for a world record €1.25m (£1.1m) as a result of prices being driven sky-high by a craze for bird racing among an elite group of Chinese enthusiasts. Joël Verschoot, 63, from Ingelmunster in west Flanders, said his bird, Armando, was born to be a champion but he had never dreamed of such a huge sum being paid for it. During the final hour of a two-week online auction, one bidder known as “XDDPO” had repeatedly upped their offer by €100,000, only for a second account, known as “Champ Team”, to put in bids of €2,000 more. When the auction came to a close at midday on Sunday, the final bid of €1,252,000 smashed the previous record of €400,000 paid by Xing Wei, a Chinese property tycoon, in 2017 for another of Verschoot’s pigeons, known as Nadine. Armando, who is five years old and nearing retirement age, is said to have an exceptional sense of direction and remarkable wing strength. He was described as the “Lewis Hamilton of pigeons” by Fred Vencaillie, a pigeon fancier in Perwez, west Flanders, before the sale.